ProGrade Digital, a new premium memory card manufacturer, has invested in CFexpress card technology, pulling back the curtain on a 1TB memory card with lightning fast read and write speeds that exceed 1GB/s. The ProGrade CFexpress card may set a new benchmark far beyond the current capabilities of XQD. 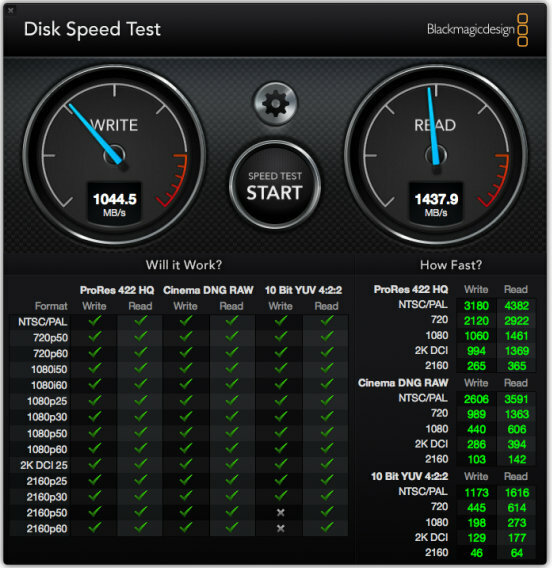 Imaging Resource senior writer, Jarod Schneider, was recently invited to test and review ProGrade’s 1TB card, which is currently in development and will be available later this year. The cards are able to read at over 1400MB/s and write at over 1000MB/s, which he notes is ‘unbelievable’ as this is double the speed of CFast – matching speeds of an internal computer SSD. Schneider ran tests through a MacBook Pro with TouchBar, using ProGrade’s XQD/CFExpress card reader with a Thunderbolt 3 Cable. The result from Imaging Resource’s test. 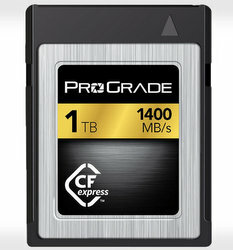 Beyond the 1TB card, ProGrade will also release 512 and 256GB versions. Who is ProGrade and what is CFExpress? Despite only emerging this year, ProGrade has an executive team equipped with enough experience in the memory card market to become a serious competitor. Headed by Lexar ex-VP Wes Brewer, along with a group of former executives, ProGrade has risen from the ashes of the memory card company which was acquired by Chinese company, Longsys in 2017. Brewer said ProGrade has no plans to design XQD cards, as he views CFexpress as a far superior technology. CFexpress technology was announced in 2016 by CFA as the ‘next evolution’ of high performance removable media. The current problem is no camera companies support CFexpress. However the cards use the same form factor as XQD. The cards will fit cameras with XQD slots, such as Nikon, meaning support may only require a firmware update. Given ProGrade’s connection to Lexar, it’s hopeful the new company may design a version of the Workflow Hub – a premium modular card reader which served as a handy tool for photographers. This entry was posted in Deck left, News and tagged cfast, cfexpress, Lexar, memory cards, photography, prograde, XQD by Keith Shipton. Bookmark the permalink.